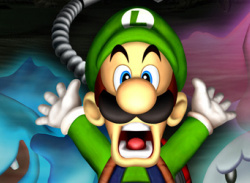 Get spooked with your old friend, Luigi, as he navigates his way through the creepy nooks and crannies of Luigi's Mansion, available exclusively for the new NINTENDO GAMECUBE. 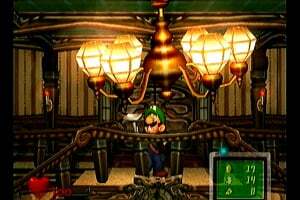 This one-player action adventure is the first title to star Mario's younger brother Luigi, a beloved character who has made appearances in Nintendo video games since 1993. Luigi's Mansion shows off the powerful graphics capabilities of the NINTENDO GAMECUBE technology to create an immersive world that is filled with intriguing visuals. 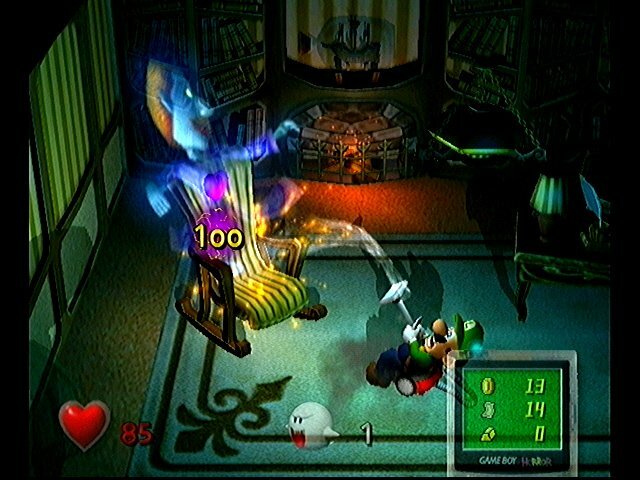 For example, the game features real-time lighting and shading created by Luigi's flashlight, as well as transparent ghosts - effects that could be created only on NINTENDO GAMECUBE. 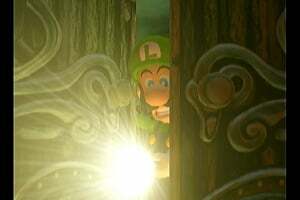 "You really feel the emotions of the characters and see unprecedented levels of detail, down to ghoulish reflections in a mirror," says Peter Main, executive vice president, sales and marketing, Nintendo of America Inc. "With Luigi taking the front-and-center role in this title, players will quickly get into the spirited fun of the game." Well, I don't have gamecube, but i've heard that gamecube games play on the Nintendo Wii and I have a Wii so I can maby get a gamecube controller...if my mom lets me. I used to play this game all the time. I love the fight with Bogmire and King Boo, so much fun! this is such a great game, i got it for christmas the year i got my gamecube then beat it the next day. I love the figt with baby Chuancy and the painting ghost, it was so fun. I think the most underrated gem is kirby air ride. 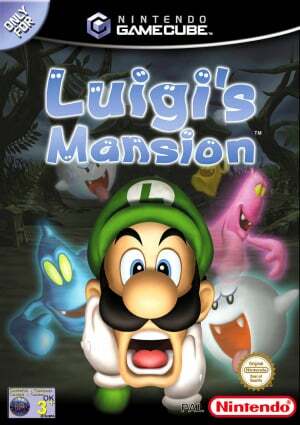 Chuggaaconroy did a let's play of Luigi mansion. I love this game and I still play it to this day! 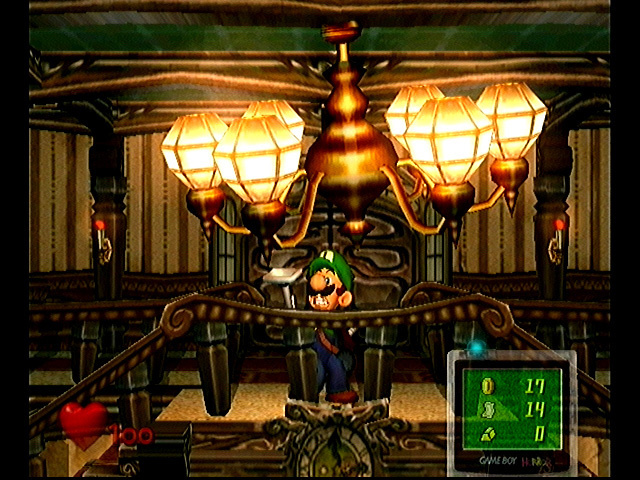 Dry Bowser was recently discovered in Luigi's Mansion. 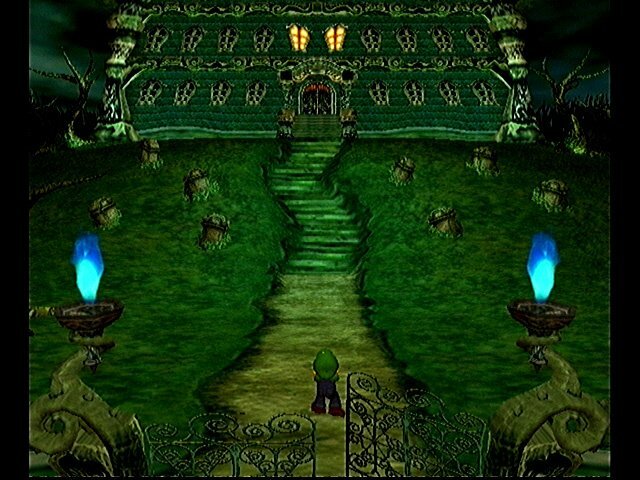 You have to have 6 coins, 6 dollars, and 6 gold bars and also this can only be done in the Hidden Mansion. There is a low chance of it happening, but if you want a higher percent chance for it to happen, then you have to beat the game 6 times on each files. 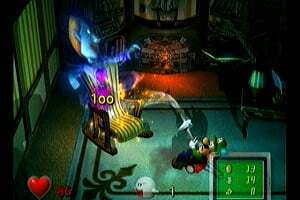 If you get it to work, after you beat Bowser and King Boo it shows a close up on Mario and he is still banging on the glass as if you didn't defeat King Boo. 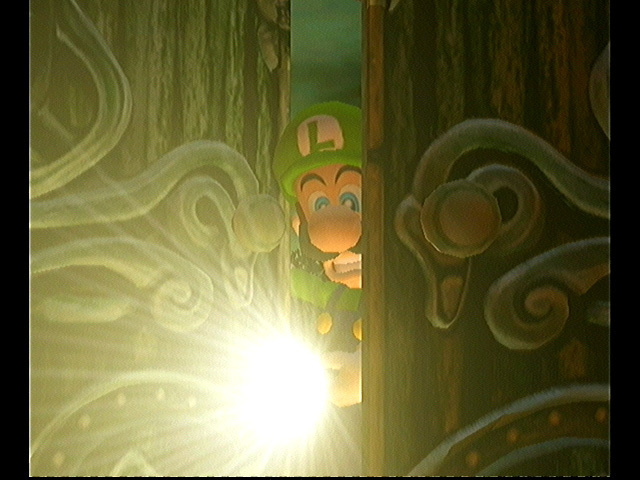 The lights go out and it shows Luigi's Poltergeist 3000 releases King Boo again and he going into the celling. When he does this you will see a picture of Dry Bowser on the celling on the room. Luigi will get sucked into the painting. you battle of the roof again, but the background is blue fire instead of red fire, and it is the same cut scene when you fight bowser, except it is Dry Bowser. 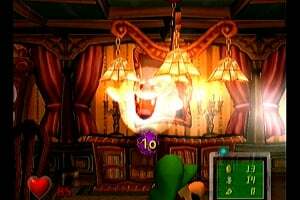 King Boo has 1000 HP instead of 500 HP. When the fight is over, you will get 2 extra gold diamonds (The gold diamonds are Dry Bowser's eyes). After you exit the painting, the ending of the game will still happen normally and you get a picture of Dry Bowser and King Boo instead of Bowser and King Boo. Good luck trying to find Dry Bowser. I will be posting picture of the boss fight very soon. Probably 10-31-13 or 12-25-13. I haven't chosen a date yet. It is going to be one of those dates. And the place where I am going to release it has not been chosen yet. And if the pictures get enough publicity, then I will post my video of me fighting Dry Bowser. 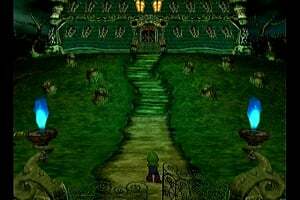 The boss fight is pretty hard (a lot harder than the regular boss fight). It is actually very hidden. From what I know, it can't be found when digging through the game's data. I will be posting more info about the boss fight throughout the year.